The trail is flat, wide, and meant for cycling, walking, hiking, skiing etc. Its a rather straight and completely non technical affair, through marshy and dry sections. 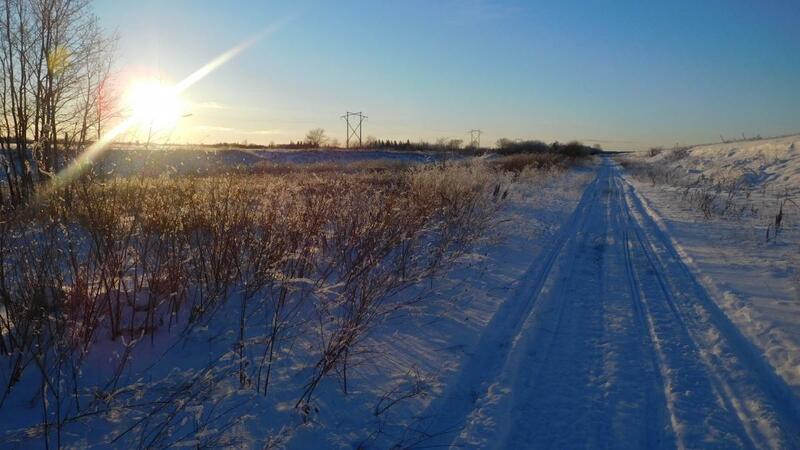 About half the trail is located along a dyke holding back the Winnipeg River. Review: This section of the Trans Canada trail is flat, with minimal climb, as well as minimal turns. It proceeds half along a dyke, and one half of the way through mixed forest and marshy. The trail is built up by gravel fill over the marshy / soft areas and is not well packed. Overall, its a scenic ride every now and then, but not a thriller by any means! Seven Sisters Dam to Whiteshell Park gate @ HWY #307 MTB Trail 2.00 out of 5 based on 1 ratings. 1 user reviews.